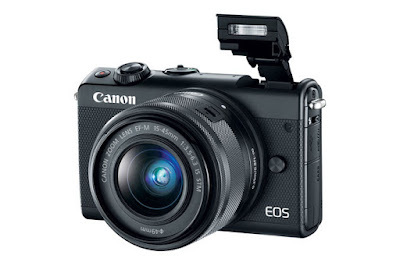 Canon has launched EOS M100 mirrorless interchangeable-lens camera in India. It has a 24.2-megapixel APS-C CMOS sensor and DIGIC 7 image processor and uses Dual Pixel CMOS AF for high-speed autofocus. It also comes with 180-degree tilt up 3.0-inch LCD touchscreen and comes with self-portrait mode with smooth Skin feature. Canon EOS M100 has a Creative Assist feature simplifies the complexity of the camera’s settings that lets you configure and save up to six Creative Assist settings for frequent use, and exchange setting information with other cameras. Commenting on the launch, Eddie Udagawa – Vice President – Consumer Imaging & Information Centre, Canon India said: Innovation has always been a driving force at Canon and our latest EOS M100 is a pinnacle of our vision to deliver path-breaking imaging solutions to our valued customers. A perfect companion for any photo enthusiast, the compact and easy-to-use EOS M100 takes brilliant images and records stunning videos. With its 3.0-inch tilt-type LCD that rotates 180°, the camera takes selfies to a whole new level. We are delighted to bring the new generation of photography solutions here in India and shape the future of imaging in the country. Canon EOS M100 comes in Black color in India and is priced at Rs. 39,995.